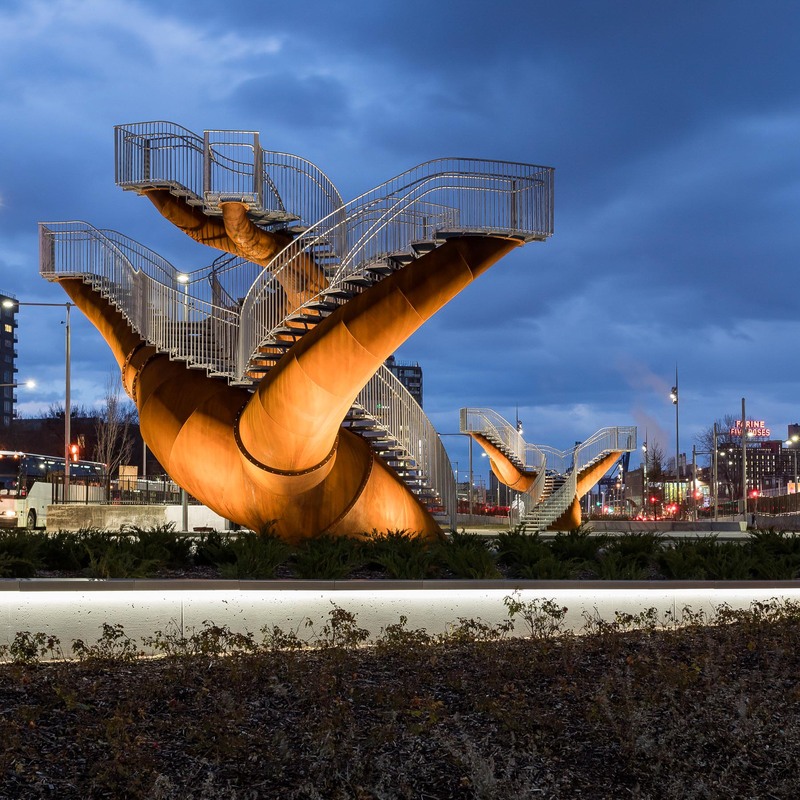 Created by the French-Canadian artist Michel de Broin, this monumental sculpture reminds a big tree trunk with branches/networks. Composed of two parts, the art piece made of corten steel reminds the past of the site where it is located. 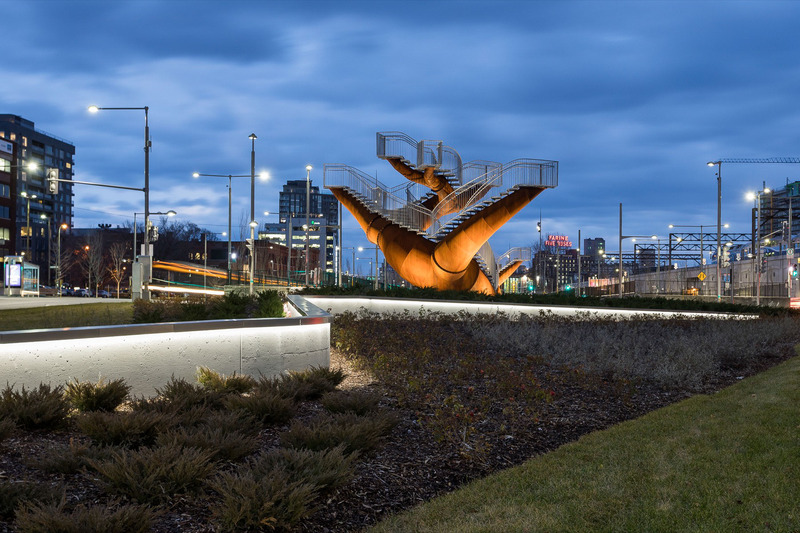 The illumination highlights the texture and colours of the steel which enhances the impressive size and the curves of the sculpture. 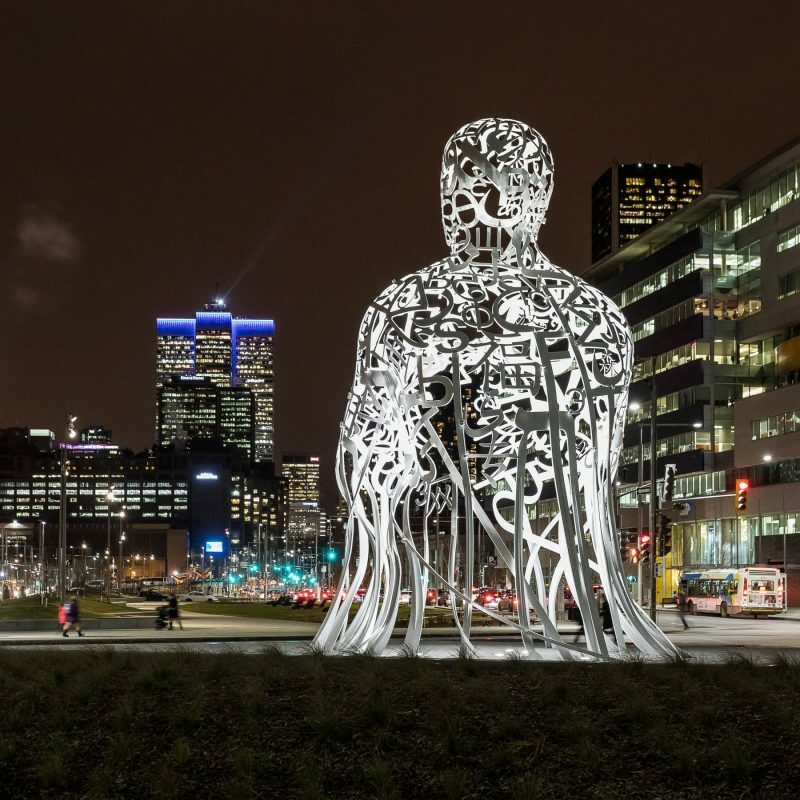 Created by the famous Catalan artist, Jaume Plensa, this sculpture represents the roots and the multicultural identity of Montreal. 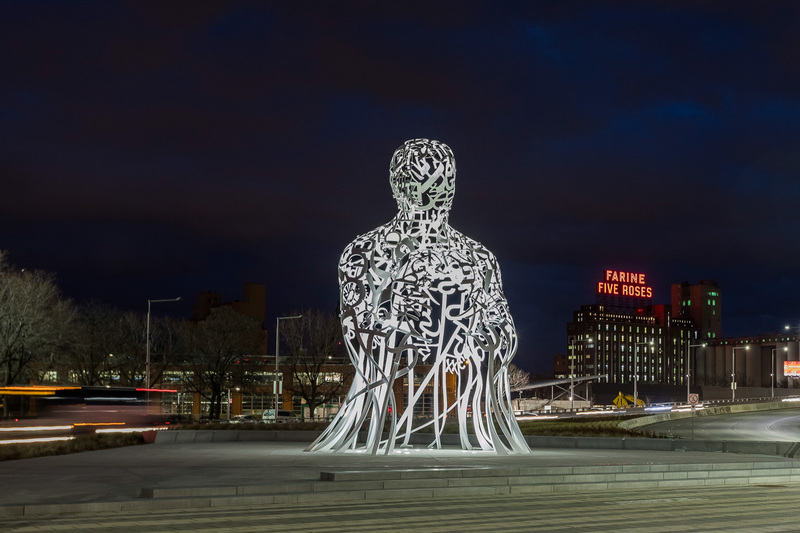 The lighting of the sculpture is applied creatively through playing the interior with contrasts of illumination. 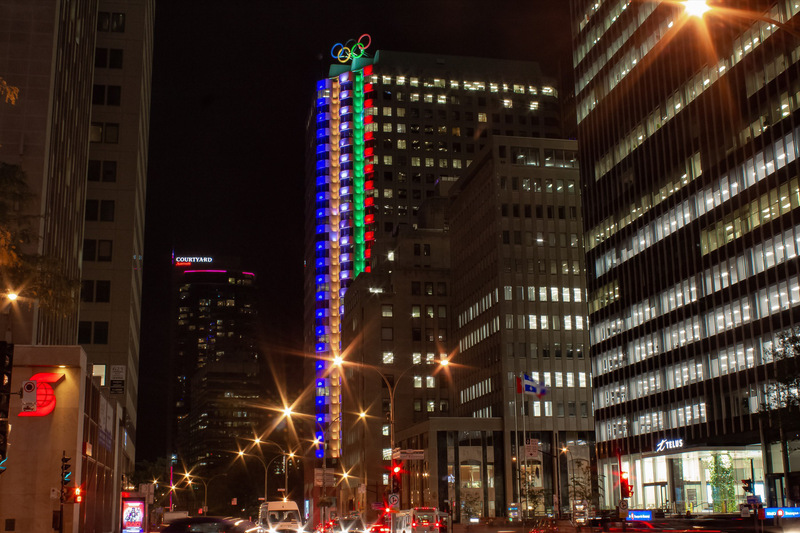 The sculpture was donated by Mr and Mrs Desmarais, and inaugurated during the Montreal 375th anniversary. 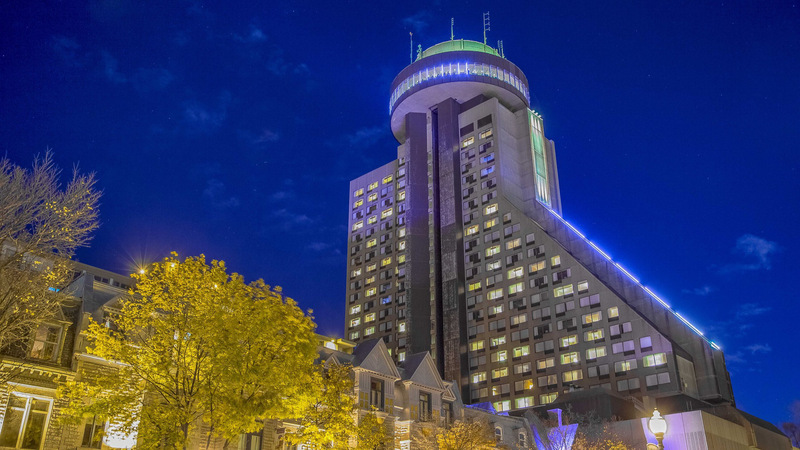 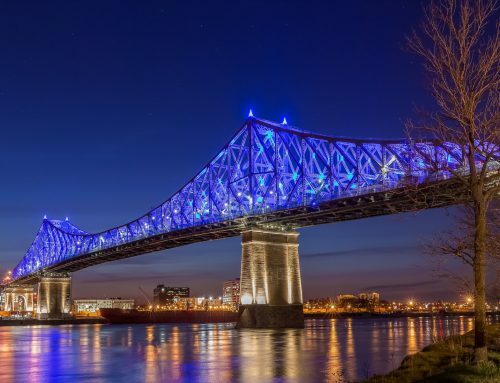 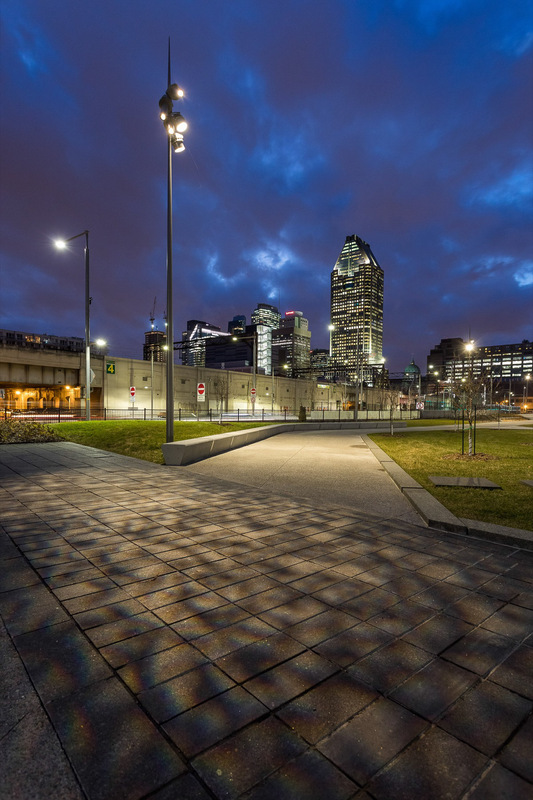 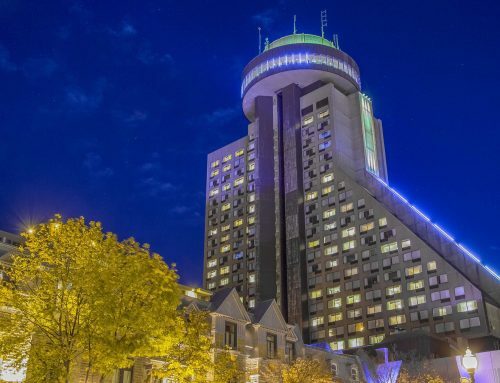 As a major city entrance in the south of Montreal, the requalification of the Bonaventure highway as a prestigious boulevard demanded that lighting be updated fo urban walkways and urban art pieces. 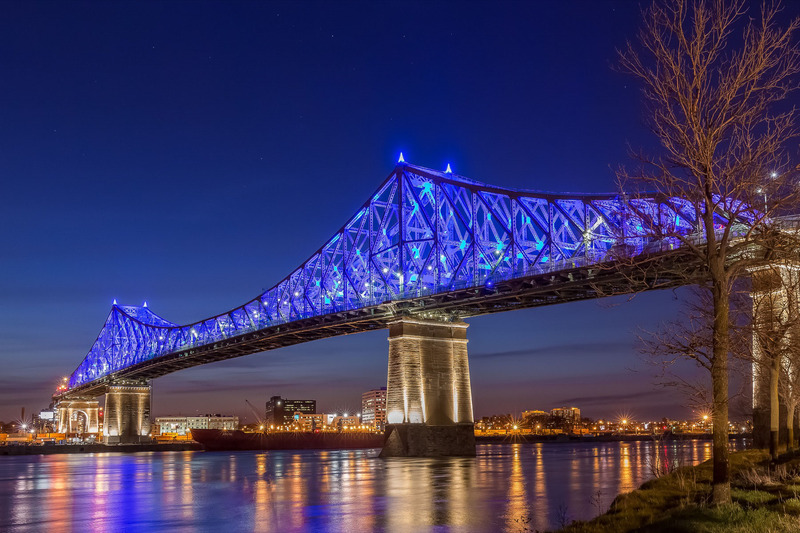 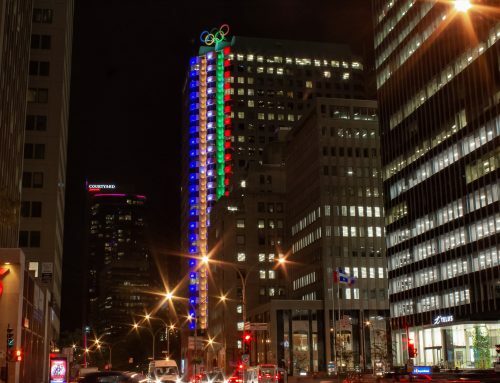 Inaugurated during the 375th anniversary of the city, the illumination embraces the richness of Montreal’s multicultural identity. 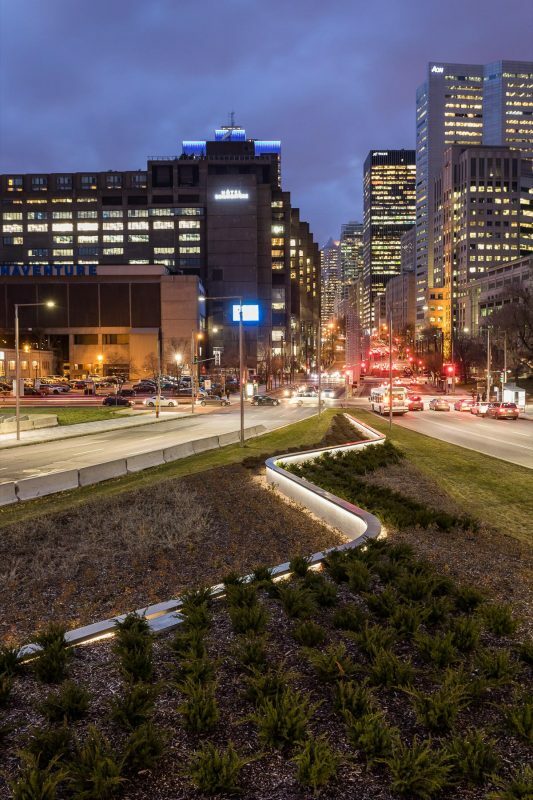 The illumination aims to enrich the users’ night experience and to offer safe environments while enhancing the quality of spaces. 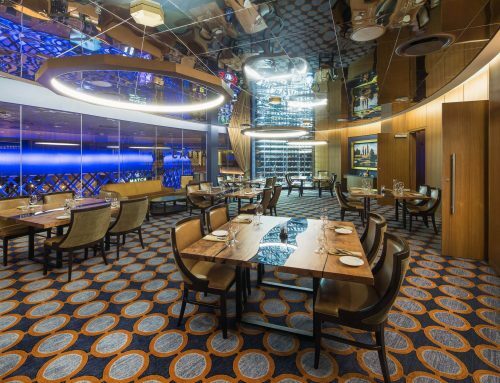 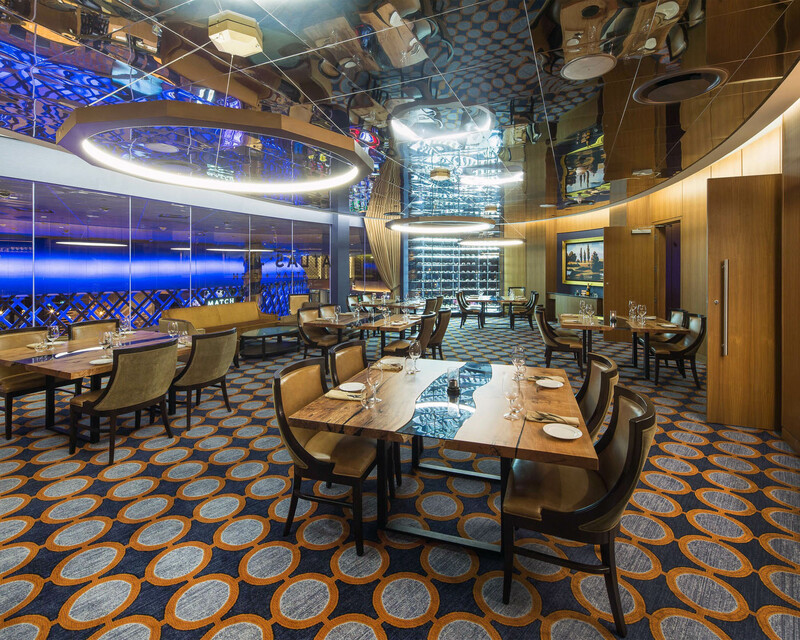 The white tone of the selected lighting helps beautify the natural elements of this space.